International Mission Board missionaries Kathy and Randy Arnett, who served as theological education strategists for Africa, died March 14 from injuries sustained in a single-vehicle accident in the Democratic Republic of the Congo. (IMB Photo)The Arnetts were traveling to a theological training event with fellow missionaries Jeff and Barbara Singerman, from Ohio, when the single-vehicle accident occurred about two-hours’ travel from Kinshasa, the nation’s capital. The Singermans, who sustained injuries in the accident, were transferred to Kinshasa for medical care. They have since been transferred to Johannesburg, South Africa, for continued care. The missionaries were driven by a Congolese national who also sustained injuries but has been released from medical care in Kinshasa. 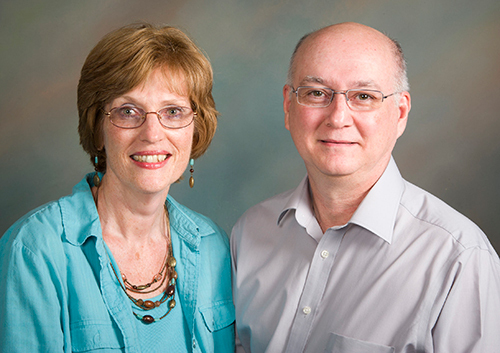 Randy Arnett“Randy and Kathy Arnett were appointed as Southern Baptist missionaries on Oct. 14, 1986. Following French language study in Tours, France, they moved to roles in theological education in Lomé, Togo. 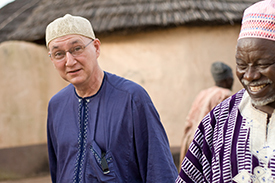 Randy taught at Ecole Baptiste de Théologie pour l’Afrique Occidentale (the Baptist Seminary of Theology for West Africa), and Kathy directed the Bible Correspondence School and then served as director and professor in the seminary wives’ program. Kathy ArnettIn 2000, the Arnetts moved to Cote d’Ivoire to coordinate Southern Baptist human needs ministry for West Africa. 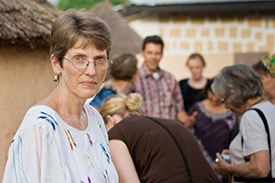 Kathy also served as regional HIV/AIDS coordinator, responsible for the research and development of church and team HIV/AIDS responses for West Africa. In 2003, Randy became the West Africa research and analysis coordinator. From 2004-09, he served as West Africa regional leader, still based in Cote d’Ivoire. Kathy became the regional events coordinator for West Africa, organizing large-scale meetings, mid-term conferences and training events. 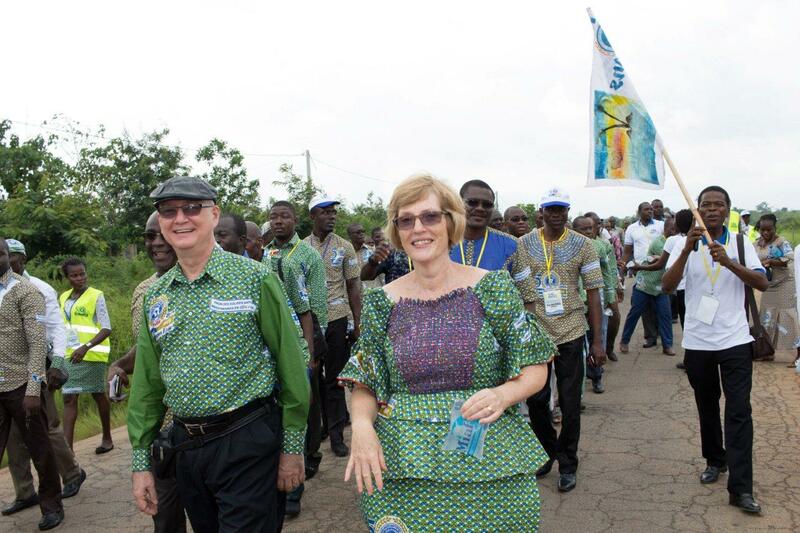 Randy and Kathy Arnett celebrate the 50th anniversary of Baptist work in Cote d’Ivoire in August 2016, walking about two miles to a seminary alongside fellow Christians. The Arnetts, who died March 14, were known for the joy they shared with African friends and colleagues. (IMB Photo by William Haun)Haun, who now serves as director of IMB’s personnel service center in Richmond, and his wife, Sarah, knew the Arnetts for the duration of their careers as missionaries. They served together on leadership of the West Africa regional team, they lived as neighbors in Africa, and their children attended school together. 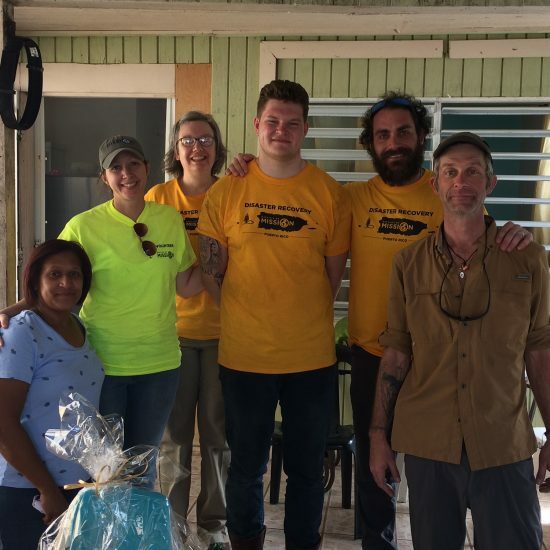 The last time the Hauns were with the Arnetts in Africa was the celebration of the 50th anniversary of Baptist work in Cote d’Ivoire in August 2016.